Firefox, Safari usage keeps climbing. Internet Explorer use is declining. Chrome came out of nowhere and in a few months has a respectable number of users (myself included). People who don’t use Internet Explorer are smarter and better looking. Thus, in average, our readers are smarter and better looking than the rest of the world. Opera is dying a slow, painful death. 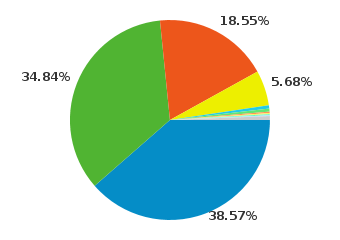 As an interesting not, now 2.75% of all our visits are from an iPhone or iPod touch. Thanks for reading. Y el 1.87% que falta?